The soundscape of Baahubali 2 is unsurprisingly similar to that of its predecessor. The only song in the soundtrack that is devoid of any anthemic/battle song aspect is the happy Carnatic (bilahari raga based from the sound of it) track called Kannaa Nidurinchara. While the ladies handling vocals (Sreenichi, V. Srisoumya) do a fantastic job, the flautist is the star of the arrangement. Saahore Baahubali is standard issue war song that engages primarily for its vocals. Daler Mehndi and chorus head the rousing portions (replete with heavy percussion, war horns and the like) while composer M M Keeravani and Mounima (who sounds remarkably like Chithra!) handle the mellower detour that the song occasionally takes. Oka Praanam is more sombre, with some nice elements in the arrangement like the harp/santoor, violins etc. but a repetitive melody bogs the song down. Good singing by Kaala Bhairava though. Kaala Bhairava also features in a second song alongside Keeravani, Dandaalayya, the most charming among the grand songs. The melody is haunting and the percussion-heavy arrangement accentuates that quality really well. The song even has a reference to a refrain from the first movie (part of Mamatala Talli) that was one of my favourite musical pieces from that soundtrack. Hamsa Naava has a rhythm akin to Manohari from part 1, but is more effective; the composer creates a more compelling melody to go with the groove and the arrangement is mellower. The singing by Sony and Deepu is top quality as well. 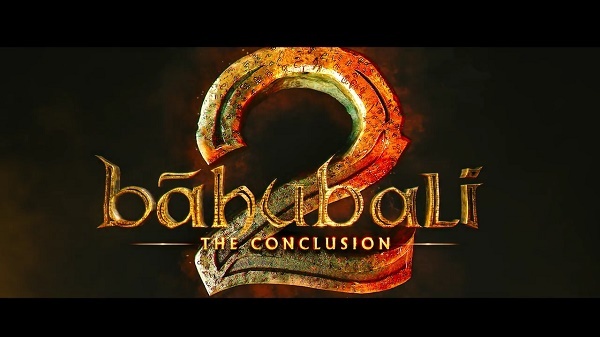 Baahubali 2 – The Conclusion. Much like the first instalment, MM Keeravani’s soundtrack is grand, but nothing brilliant. Thankfully, the trailer has given me a lot more reasons to look forward to the movie anyway.